Estonia is a Baltic State bordered by Latvia and Russia in Northern Europe. The coast of Estonia lies on the Gulf of Finland, and the country is considered by many to be the gem of the Baltics. Visitors to Estonia can enjoy scenic landscapes, sandy beaches and a diverse, multicultural history. Whether traveling for luxury or business, our Estonia Jet Charter flight specialists can arrange private flights to/from anywhere in the Estonia and neighboring Baltic States. Travel to Europe using our Estonia private jet charter service. Estonia has transformed itself over the years from reluctant Soviet state to a rising young star in Europe. The most scenic of the Baltic States, Estonia is home to lush pine forests, diverse lakes and wetlands, coastal retreats, and a variety of off-shore islands. From the capital city of Tallinn and the holiday resort city of Parnu to the medieval landmarks of Tartu and the limestone-rich island of Saaremaa, private flights to Estonia are being more frequently requested by our private jet charter clientele as the country continues to rise in popularity among European and Western tourists. 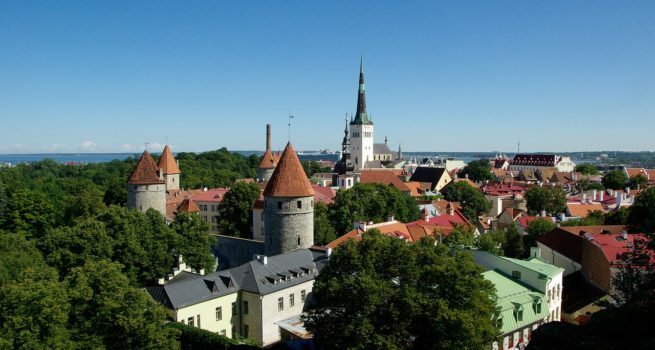 Summers provide the busiest tourism months for popular destinations, but travelers to Estonia should be advised that summers here are short, and Baltic winters can be rough. Check out the links below for more information regarding private flights to destinations throughout Estonia. Request a Quote or give us a call at 1-888-987-5387 to speak with one of our Estonia Private Jet Charter service brokers for your next luxury vacation, business trip, or special event.